The circuit can be separated into two distinct parts, voice calling is separated by internet traffic. A voice network which is secure from hackers. You can increase or decrease your lines for seasonality. 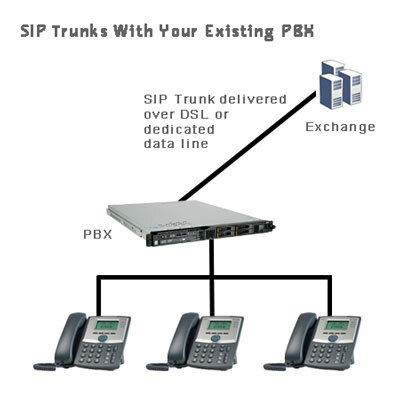 For example, if you have 15 SIP trunks (lines) within your business, but call volumes for the month of January is likely to be down, you can downgrade and only pay for 10 trunks (lines) for that month. Ability to leverage your private data infrastructure to carry voice to your branches. Need additional line number(s) ?